Description: Metal and shiny silver finish. 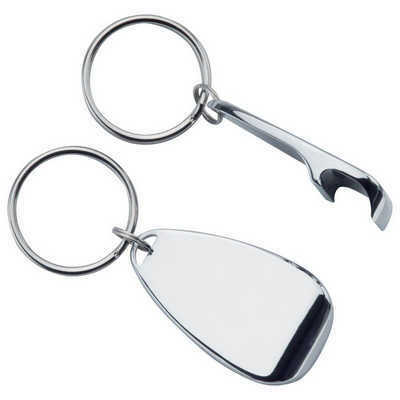 Bottle opener function with large branding option. Features: Engraves silver Packaging: Polybag Colour: Silver. Material: Metal / nickel silver finish Product Size: 48mm(h) x 28mm(w) Freight details : 500 per carton, 15.5kgs, 28 x 17 x 39cms; Decoration Type(s): Colour Print / Laser Engrave / Print with Dome Decoration Area: Laser: 30mm(w) x 14mm(h). Price includes : 1 Colour 1 Position Print. Setup is included.